SolAir World International’s silent design where the wind speed is reduced to 26dB, means that your barely are aware of the solar air conditioner operating. 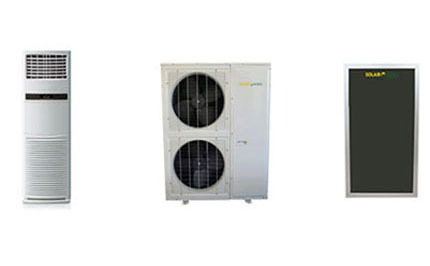 Using the world-famous brand scroll & rotary compressors including Sanyo,Daikin, etc. Adopting uniform size with a square, elegant streamline panel. Large-diameter turbofan dan vortex duct are incorporated for powerful and quiet airflow.Airflow direction automatically controlled. SolAir World is an established International company delivering product and service throughout Australia, Asia, India the Middle East and beyond. A new technological breakthrough, using thermal energy, when sized and installed correctly makes SolAir World air conditioning up to 30-70% more energy efficient at an affordable price. With comparable installation costs to conventional systems. SolAir World air conditioning will become the preferred option globally and is positioned to become the preferred option for major builders and developers as pressure increases to go “green”. The size of the compressor motor is significantly reduced. The indoor head unit produces a greater amount of air flow compared to a standard air conditioning unit. 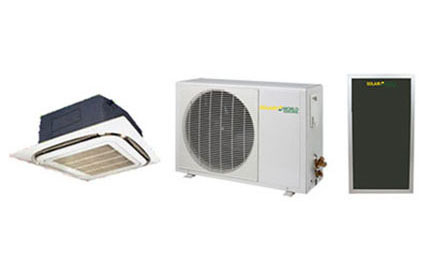 These three power saving differences mean your SolAir World air conditioner uses less energy to operate its compressor and that the compressor is not required to operate as often as regular systems, saving power, money and reducing motor noise. Relax in comfort with new SolAir World air conditioning. The air conditioner you can trust, deserve and can afford to run. Hybrid Thermal Aircon is more cost efficient compared to Solar air conditioning but at the same time saves as much energy as a solar does. It typically cost between $950 – $2500 (wall mounted single split type) and $1500 – $4600 (cassette type single split type). 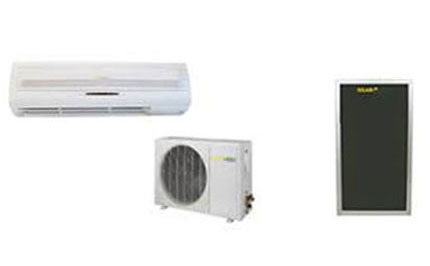 In the long run, a thermal hybrid aircon can save you a great deal in your energy bills.